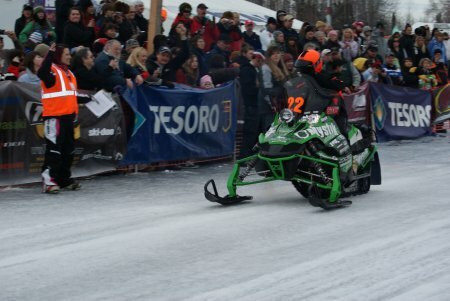 As of early Monday evening, five teams were forced to bow out of the 27th annual race that leads teams from Big Lake to Nome and on to Fairbanks. 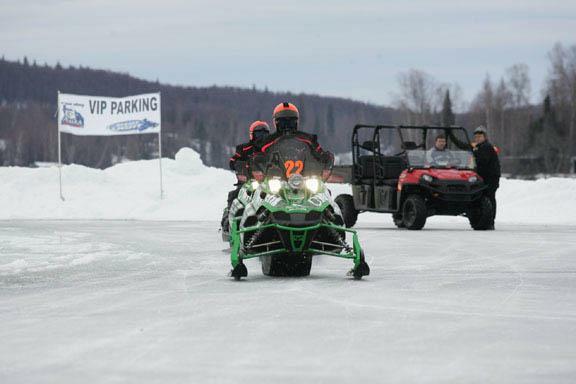 Among that group is the team of past Iron Dog champions, Scott Davis and Todd Palin, who officially scratched in Puntilla Lake. 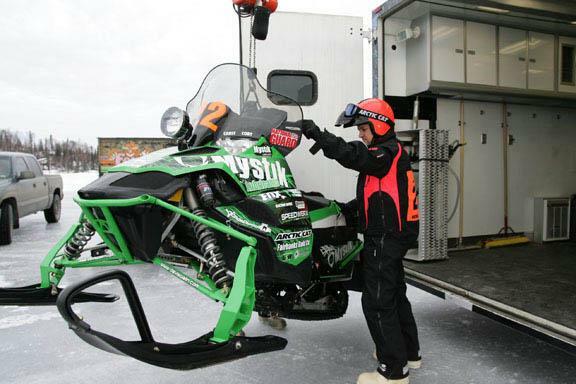 Iron Dog officials confirmed Monday morning that Davis injured his back about 30 miles past Puntilla Lake late Sunday evening. The full extent of the injury had not been reported to Iron Dog headquarters, but Davis and Palin did have to make their way back to Puntilla Lake and had since returned to Big Lake. In the Pro Class, Soldotna’s Scott Davis and Wasilla’s Todd Palin scratched due to a variety of factors, according to Regina Daniels, the wife of Davis. 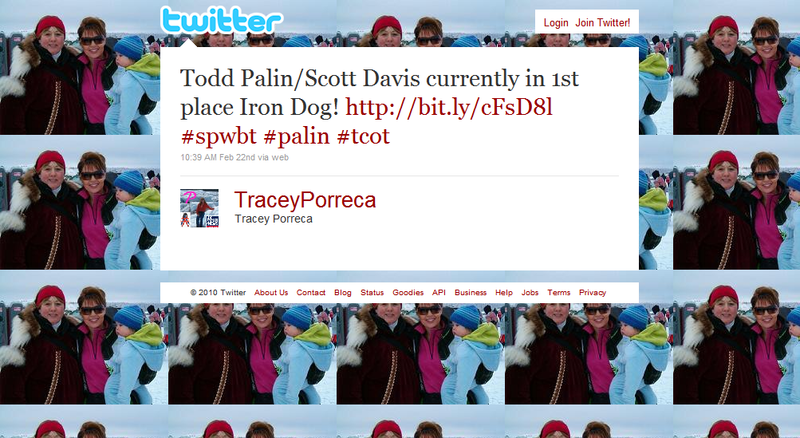 Davis has seven Iron Dog titles. He is tied with John Faeo for the most wins in race history. Palin has four titles. 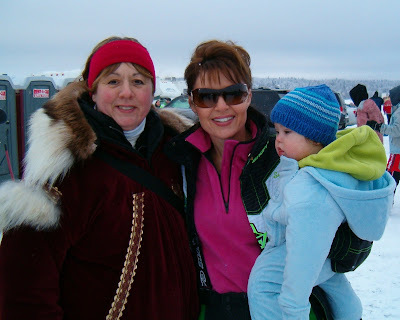 Daniels said both Palin and Davis crashed in separate accidents going into Skwentna, which is the first checkpoint in the race that goes from Wasilla to Nome to Fairbanks. 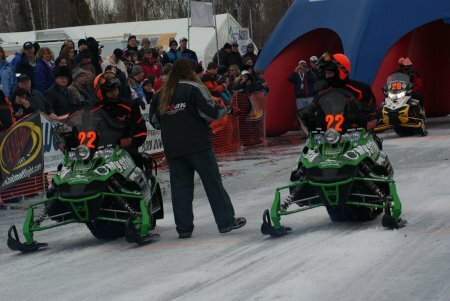 Daniels said the crashes caused damange to snowmachines and caused the pair to lose time. The pair rode ahead to Puntilla, but there decided to scratch. The cause of the scratch was listed as injury, but Daniels said Davis’ aching back was just one of the factors that caused the duo to scratch. She said Davis’ back injury was not severe, because the pair rode 300 miles back toward Wasilla on Monday after scratching. 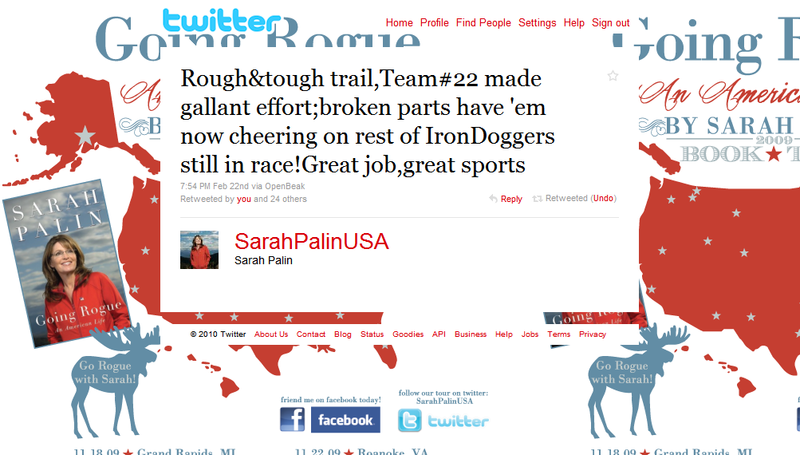 At the time the decision was made to withdraw from the race, the Davis/Palin team was showing up in Position Number 1 on the Iron Dog 2010 GPS Tracking page. Alerted by @TraceyPorreca’s tweet (see below), I saw this personally by following the link to the tracking page. So at the time they withdrew because of equipment problems, they stood a very good chance of winning the race. They had drawn a starting position of 22, from which they had raced to the head of the pack. 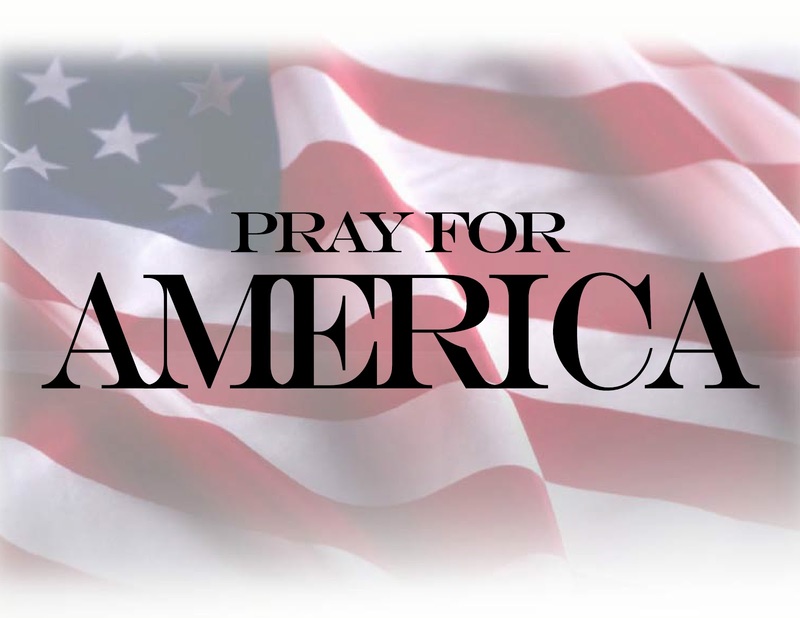 It must have been a heart-wrenching decision to withdraw from the race and was certainly made with due consideration of all factors involved. There is always another year, another race, and another championship. And we are here to cheer them on!